At the Law Firm of Oxnard Family Law Attorney Robert M. Baskin, our seasoned lawyers have been providing aggressive and knowledgeable representation in Divorce and Family Law related matters for almost 40 years. If you are involved in a Family Law case, please contact our Oxnard Family Law Lawyers at (805) 658-1000 to make an appointment for a complimentary, in-office consultation and honest case analysis. We will work to educate you about Divorce & Family Law issues that arise during dissolution proceedings so you are able to make intelligent, educated decisions. Skilled negotiators, we will work diligently to resolve any disputes peacefully. However, when settlement negotiations fall through because the parties are unable to work together to seek a solution, our skilled Oxnard Family Law Lawyers won’t hesitate to take your case to trial. Our Oxnard Family Law Attorneys understand how emotionally difficult Divorce & Family Law matters are for our clients, and we strive to resolve your case efficiently and effectively in such a manner to hopefully reduce future litigation. You will always be kept informed about the progress of your case, and all emails and telephone calls will be answered in a timely manner to ensure that all of your concerns are addressed. Whether you have questions about what Divorce will mean for you financially, how much child support you can expect to receive or pay, or how your marital assets & debts will be divided, our Oxnard Family Law Lawyers can answer all of your questions. If you are filing for Divorce or need to return to court to obtain a Post-Judgment Modification of Child Support, Alimony, Custody or Visitation, a seasoned Oxnard Family Law Lawyer at the Law Firm of Robert Baskin can provide the answers that you are seeking. Regarding Modifications, even if we did not handle your initial case, we have the skill to represent you in all Modification hearings. 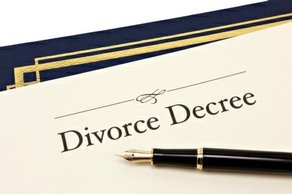 Please contact us at (805) 658-1000 to schedule your free, confidential Family Law consultation. Conveniently located near Oxnard, we have been fighting to preserve and protect the rights of all Divorce & Family Law clients throughout the region since 1975. We will work diligently to obtain the best results possible in your case!